In this little-known festival, C/Hospital is dressed up with flowers and filled with delectable treats for Sant Ponç's feast day. This trade fair has taken place in Barcelona since at least the 15th century and been held in the same area in the Raval since 1817. 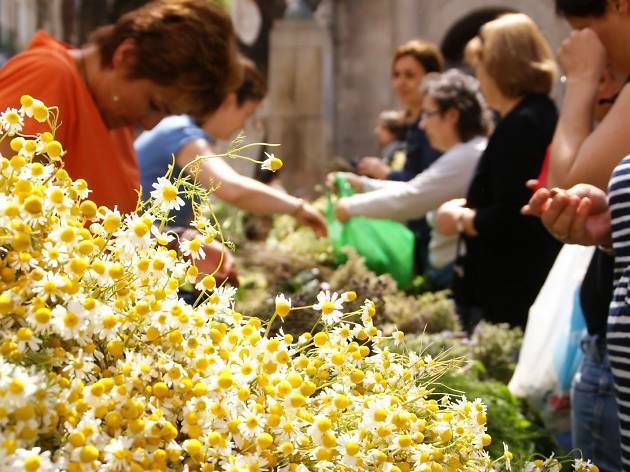 Herbalists and artisans set up stalls where you can buy fresh honey, dried and candied fruit, a variety of cheeses and, above all, medicinal and healing herbs that are at their peak of bloom and splendor in the month of May. 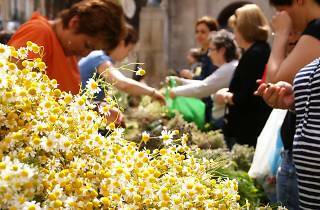 According to tradition, for Sant Ponç's day, you should give your house a good cleaning and bring in plants that deter insects or put a bundle of herbs bought (and blessed) at the fair under your bed.